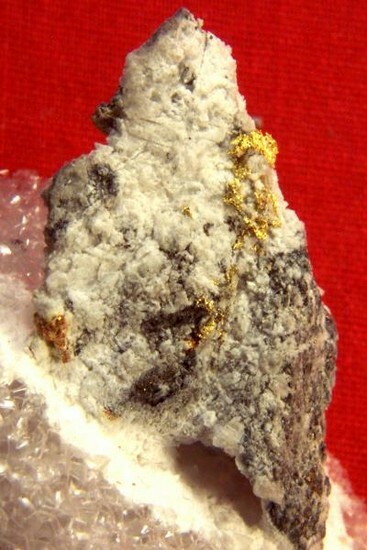 This gold in quartz specimen is 1.25" long x 7/8" wide x 3/8" thick. It is really unique. 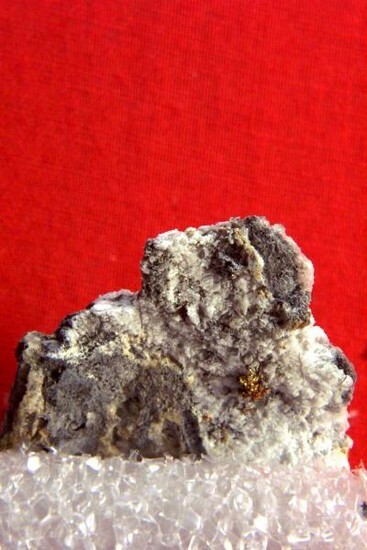 The host rock is a rough textured two color kaolin type of material. 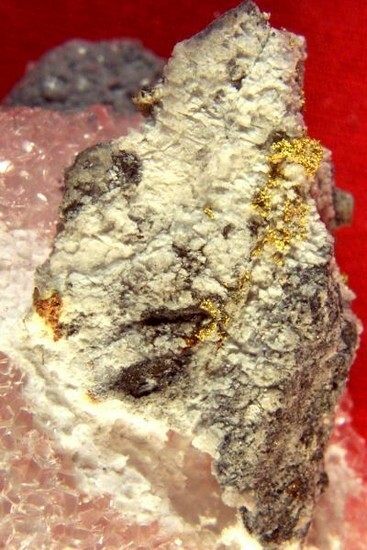 It has some nice inclusions of gorgeous crystalline gold. 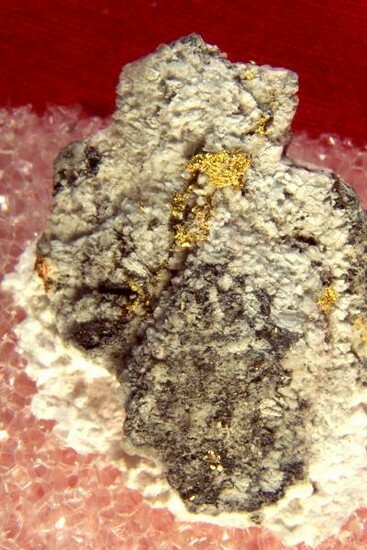 It comes mounted in a plastic display case and comes from Tuolumne County in California. Part of a collection of mounted specimens from this location, this one is really nice. 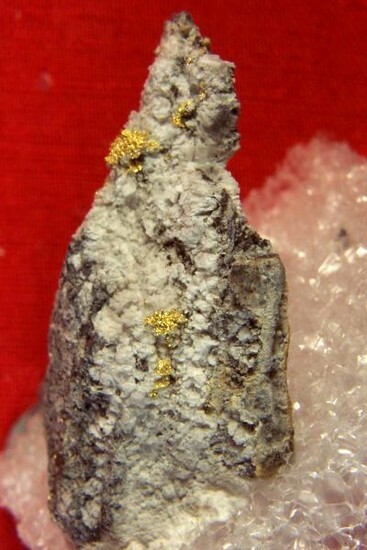 It would make an excellent specimen for your gold collection.